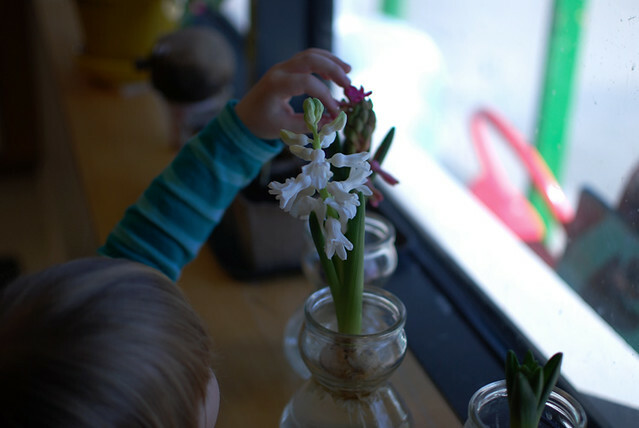 A little girl at school today was noticing the blooming hyacinths. 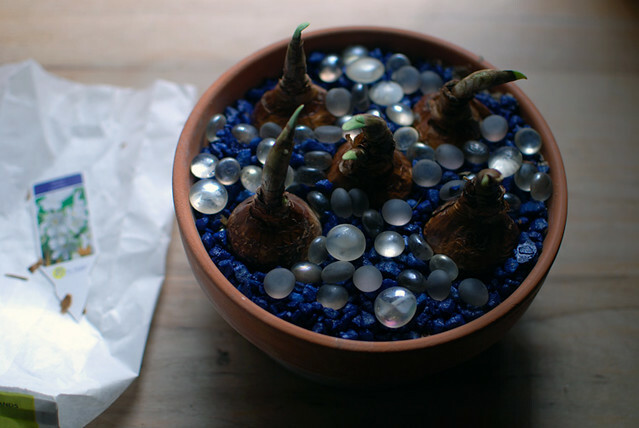 At home we wait for our paper whites to grow. And while it's not spring yet, I did feel like making a new blog banner and sidebar buttons. Tara of sevenspoons is featured at this joy+ride. The winter beauty continues at winterness.